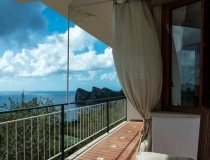 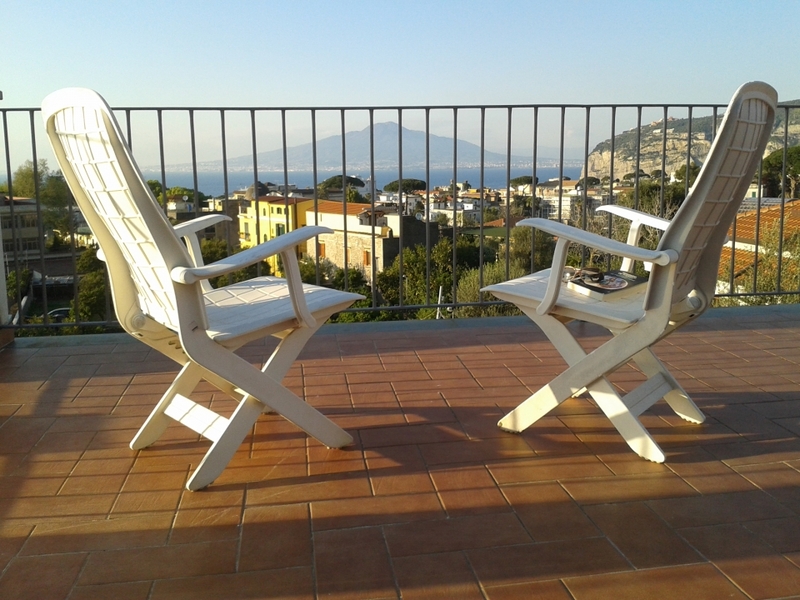 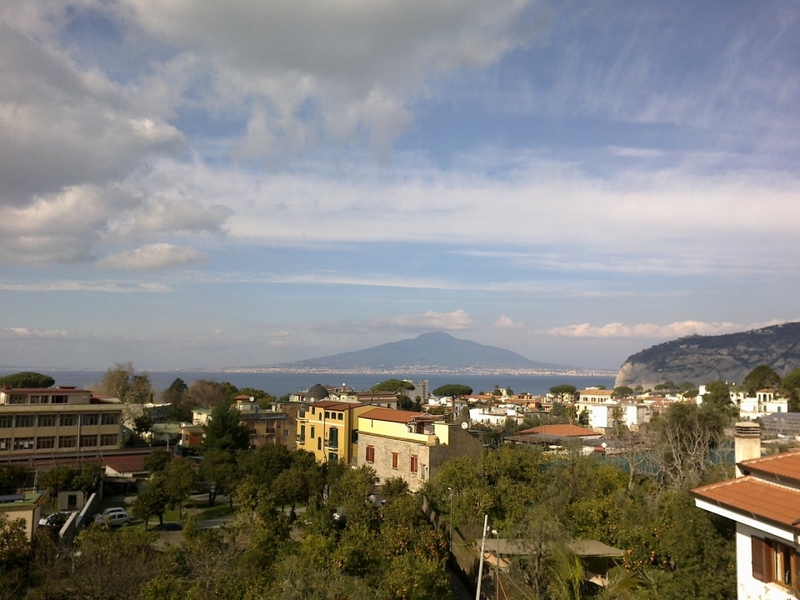 La Mansarda extends in a breathtaking terrace overlooking the Gulf of Naples from where you can admire lo Sterminator Vesevo (i.e. 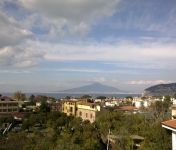 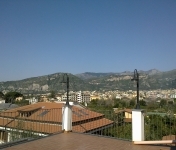 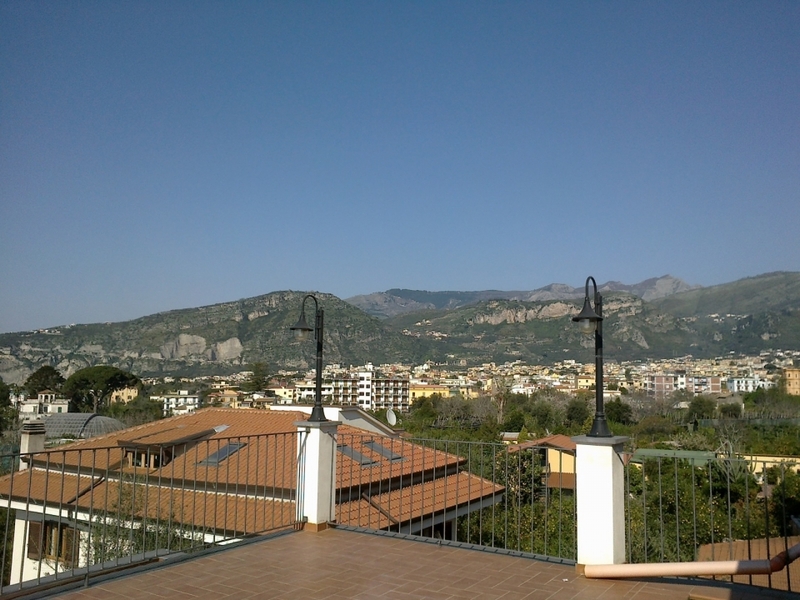 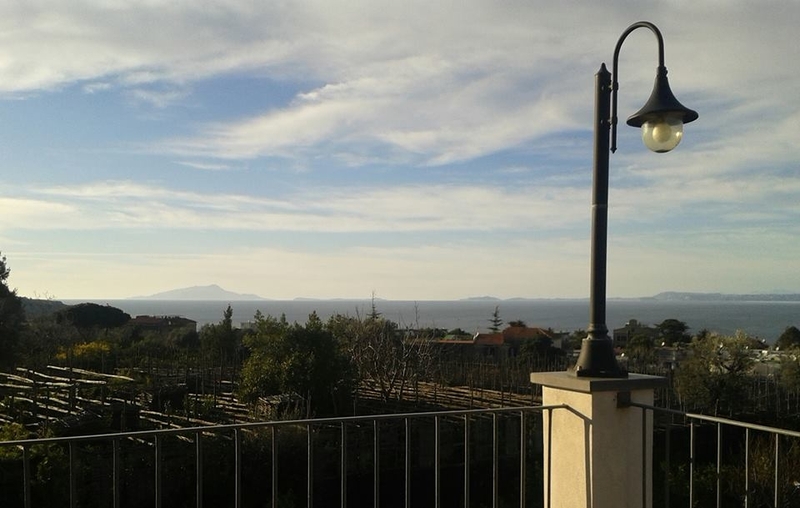 the Vesuvius mountain cit. 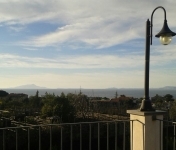 G. Leopardi), Naples, Procida, Ischia, the stone of Capo di Sorrento, back mountains of Penisola Sorrentina, Monti Lattari till Mount Faito and punta Scutolo. 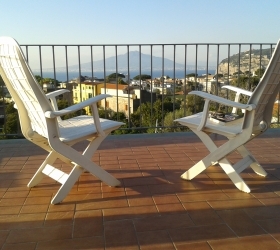 The terrace is the best place to relax after daily excursions..